Software Asset Management UK (SAM UK) is a leading software company in the education and voluntary sector in Ireland and the UK. With a wide range of solutions for both students, teachers and schools, SAM UK is driving innovation and change within the education and learning sector. Software Asset Management UK (SAM UK) is one of the leading suppliers of software and information technology solutions in the UK to the education and voluntary sector. The company was founded in 2003 as a result of a realisation that there was an opportunity to deliver value licencing options for schools and charities in the UK. The company grew steadily to be market leader in licencing for education institutions in Ireland and the UK and was recognised for its success in 2006 by winning the DLR County Enterprise Business Growth Award. Also in 2006, working with software partners, SAM UK led the way for student licencing in Ireland and the UK by launching Software4Students. The original student discount store, Software4Students has helped hundreds of thousands of students get the software they need for prices they can afford. In 2008 SAM UK won the Export Award at the DLR County Enterprise Awards. Through working closely with schools and teachers, we recognised a need for bespoke software solutions for the Education market. SAM UK began developing its own software solutions and 2009 saw the launch of Edvance, the total ICT solution for primary schools. As the company continues to grow, so too do the accolades. 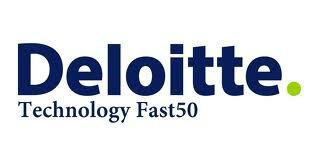 We won the 2010 Deloitte Technology Fast 50 Company Award for Ireland. This is awarded on the basis of outstanding growth over the last 5 years and has been won in previous years by companies such as Daft.ie. Not only this, SAM UK ranked number 7 on the Deloitte Technology Fast 500 EMEA 2010, a ranking of the 500 fastest growing technology companies in Europe, Middle East and Africa. In 2011 SAM UK almost achieved the unique feat of winning the Deloitte Fast 50 two years in a row, ranking 2nd in Ireland. From small beginnings in 2003, the company now employs over 30 full time employees in offices in both Dublin and Belfast. At Software Asset Management UK (SAM UK) we believe passionately in the use of technology in education and learning. From primary schools to universities, we wish to provide the tools that allow teachers to inspire and students to create. Our passion for learning is the reason we’ve developed Edvance , a total ICT solution for Irish schools. This market-leading product, fully developed in Ireland, allows schools to focus on education whilst leveraging the benefits of technology. With Edvance, Irish schools can use the latest collaborative tools to enhance the learning experience for their pupils and provide essential digital skills. Right from the start, we have always maintained that by putting the customer first everything else will follow. This approach is at the heart of everything we do. With over eight years experience in the education sector, we aim to continuously provide and develop innovative ICT solutions for schools and universities. The quality of our products and standard of service we provide is why more schools and colleges choose us.